More than 20 years since the adoption of the constitution of Georgia, governments are still thinking about constitutional reform. Typically, authorities have done so as a way of strengthening their powers. Thorough constitutional reform has already been carried out twice. First, fundamental changes were adopted in 2004 after the Rose Revolution. A semi-presidential model was introduced, but in fact, it was a super-presidential system where the president’s powers were further strengthened by the presidential majority in parliament. Second, in 2010 the direct election of the president was maintained, but the powers of the president were significantly weakened, bringing Georgia closer to the parliamentary model. President Saakashvili, who was term-limited, wanted to remain in the power as prime minister, and this constitutional amendment was designed to serve this purpose. However, Saakashvili’s party lost the 2012 parliamentary elections and an electoral coalition of six parties led by Georgian billionaire Bidzina Ivanishvili came to power. After a year of tense cohabitation, power was fully transferred to the Georgian Dream coalition after the 2013 presidential election. Today, Georgia faces a third major constitutional revision. Prior to the 2012 election, the Georgian Dream coalition promised to amend the constitution and move to a parliamentary system. Not all parties in the coalition shared this opinion at the time, but in 2016 the coalition was dissolved in the run up to the parliamentary elections. At the 2016 election, Georgian Dream participated independently, winning 48.67% of the proportional vote and 44 seats in the legislature, and 70 of the 73 seats in the majoritarian constituencies. So, with less than 50% of the vote, the party won a super majority in the parliament. To change the constitution, a party currently needs more than 115 of the 150 seats in the legislature. On December 15, 2016, parliament created the State Constitutional Commission to revise the constitution. The main goal of the Commission was to draw up the draft law on the revision of the Constitution of Georgia. On April 22, 2017, the State Constitutional Commission adopted the Draft of Revision of the Constitution. The State Constitutional Commission comprised 72 members, including representatives of both the parliamentary majority and the minority, constitutional bodies, experts, NGOs, and representatives of political parties who received at least 3% of the vote in the last parliamentary elections. The ruling party held a majority on the commission. The presidential administration refused to work with the Commission, because in the president’s opinion, the procedure for setting up the Commission lacked political legitimacy and was not based on a wide consensus. Two days before the vote on the constitutional draft, the opposition parties left the Commission. Fifteen opposition parties announced that the ruling majority had not considered any of their proposals and accsued the ruling party of amending the constitution to suit themselves. The Commission’s work was criticized and was not supported by the Public Defender’s Office and representatives of leading NGOs. The ruling party commented that the Commission’s legitimacy was not endangered by the boycott of the opposition, as the people would legitimize the draft constitution during public hearings. Although the constitution of Georgia does not require the adoption of the constitution by a referendum, public discussions are important, but previous practice shows that such discussions are not very effective. As to the transparency of the Commission, it should be noted that no social networks were used in the process. In terms of inclusiveness, it was almost the same process as when the United National Movement had previously used its constitutional majority to adopt constitutional amendments without considering the opposition’s opinions. It should also be noted that these fundamental constitutional amendments were prepared within a period of only 3 months. No international experts were invited to be part of the process of preparing the amendments. The president of the Venice Commission, Gianni Buquicchio, said during his visit to Georgia in 2013 that a good Constitution should be based on the widest consensus possible between all the political parties and society. On May 8, 2017, the draft of the constitutional amendments was submitted to the Venice Commission. Georgian Dream expected to receive a positive report. The government announced that it would not accept any constitutional amendments which were negatively evaluated by the Venice Commission and would unconditionally share all the legal recommendations expressed by the Commission. In fact, the ruling party did accept some of the Venice Commission’s recommendations, but the issue of introducing a fully proportional electoral system for the 2020 parliamentary election was not accepted. As noted above, the main goal of the reform is to introduce a parliamentary republic. The commonly heard argument of those behind the reform is that parliamentarism is more democratic, that it better represents the interests of the people, and that it is present in a majority of European countries. However, there are no clear reasons to suggest either that presidential or semi-presidential systems are less democratic or that they do not fit the situation in Georgia. The main issue for both the Commission and the ruling party is the ending of direct presidential elections. According to the draft, the president of Georgia will be elected by an electoral college without a debate for a 5-year term. The Electoral College will comprise 300 members, including all Members of Parliament and all members of Supreme Councils of the Autonomous Republics of Abkhazia and Adjara. The other members will be named by political parties from representatives of local councils. It must be noted that the ruling party has a majority In the Supreme Council of the Autonomous Republic of Adjara and in local government. These governments do not have independent financial and economic means and are completely depended on government support. Georgia does not have a decentralised territorial state structure and the country still operates like the Soviet system. Governors (representatives of executive) in the regions are appointed by the executive. They are loyal to the parliamentary majority. The majority of citizens and political parties do not favour the cancellation of direct presidential elections. Significant parts of society consider the direct election of the president as a way of exercising their voice and as the only mechanism for balancing the executive. According to the draft constitution, the president’s powers will also be restricted. The president will carry out a number of powers in agreement with the government or at the government’s proposal. 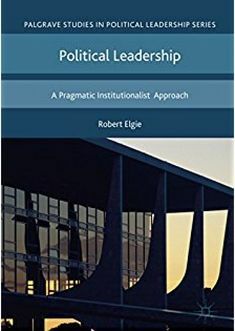 The ruling party thinks that the president should not be an active, charismatic leader and should be more of an experienced academic person. The President cannot be a member of a party and the age of candidates will be increased from 35 to 40. The National Security Council will be abolished and a Council of Defense will be created, which will operate only during martial law. The National Security Council was the subject of controversy between the presidency and the government after the 2012 parliamentary elections. The Prime Minister did not attend Security Council meetings convened by the President. Later, Parliament adopted a special law on the State Security and Crisis Management Council and created such a council in the executive. According to the draft constitution, the President of Georgia will remain the Commander-in-Chief of the Armed Forces, but he will appoint and dismiss the Head of the Military Forces on the recommendation of the Government. One of the significant issues of this constitutional reform is an electoral system which has become a source of disagreement between the ruling party, the opposition and the President of Georgia. The opposition demanded a fully proportional parliamentary election during last elections. At the start of the work of Constitutional Commission, the ruling party suported this proposal, but then proposed a 5 percent threshold with undistributed votes below the threshold being allocated to the winning party. At the same time, the draft banned electoral blocs. With weak party structures and financial resources, the opposition fear that the election process will not be equal, given they will have to compete against the Georgian Dream, which is backed by billionaire Bidzina Ivanishvili. The percentage of undistributed votes could range from 20% to 60%, meaning that the first-place party is likely to receive a bonus of 30 or more seats in parliament. It seems that after abolition of the majoritarian system, the ruling party still hopes to create a majority in the parliament using these amendments. This is indisputably an unfair electoral system and will most likely create a strong one-party majority in the future. The amendments relating to the electoral system were strongly criticized by international organizations, Georgian NGOs and the Venice Commission. The Venice Commission noted that “The replacement of the current proportional/majoritarian election system by a proportional election system is, without doubt, a positive step forward aiming at increasing pluralism in Parliament. However, this positive step forward is limited by three mechanisms: the 5% threshold rule in legislative elections is maintained; the undistributed votes below the 5% threshold are allocated to the winning party and, electoral coalitions (party blocks) are abolished. While the 5% threshold is perfectly in line with European standards and does not as such expose itself to criticism, taken together, these three mechanisms limit the effects of the proportional system to the detriment of smaller parties and pluralism and deviate from the principles of fair representation and electoral equality to a larger extent than seems justified by the need to ensure stability”. Parliament adopted the constitutional amendments at its second reading in an extraordinary session on June 23. Only the Georgian Dream supported them. The President, the opposition and the NGO sector called on the ruling party to resume the dialogue on constitutional change, sending their remarks to the Venice Commission. On September 26, 2017, Parliament approved the amendments to the Constitution at the third reading supported by 117 votes, while 2 MPs voted against. The amendments will come into force after the 2018 presidential election. In 2018 the president will be directly elected for a six-year term. The proportional electoral system will begin in 2024, while the 2020 elections will still be held under the existing mixed electoral system and with a one-time 3% election barrier. Thus, the reform process ended with the rejection of a fully proportional electoral system for 2020 parliamentary election, which was the main demand of the opposition political parties. On the second day after the final adoption of the constitutional amendments in parliament, the speaker of the parliament suggested that the president use his veto power in relation to the bonus system and the abolition of electoral blocs. This is the first that the parliamentary majority has asked to the president to veto constitutional amendments. It must be noted that parliamentary majority did not consider these changes during earlier stages of the parliamentary process, despite strong criticism from all political groups, president and international organizations. The amendment of the electoral system is the cornerstone of this constitutional refom. The Georgian experience shows that a mixed electoral system has returned a strong single party majority in parliament since the adoption of constitution in 1995. Keeping the mixed system for the 2020 parliamentary election could be considered a strategic goal of the ruling party in its attempt to maintain power. Allowing party blocks and reducing the election threshold to 3% was a last-minute change in the face of strong criticism from the international and domestic community. Nonetheless, the Venice commission noted that the postponement of the adoption of a proportional election system to October 2024 is both highly regrettable and a major obstacle to reaching consensus. The ruling party announced that they could not make any fundamental changes to the constitution during its third hearing and that a new draft of the constitutional amendment will be initiated during next parliamentary session. The Venice Commission noted that they expect this step not only to be considered, but immediately adopted. The draft also changed the constitutional amendment rules. The amendments will be adopted by a two-thirds rather than a three-quarters majority in Parliament. Although amendments will be submitted to the President after their adoption by Parliament, if they are supported by three-quarters of the total number of MPs the president will not have the right to veto them. According the Georgian constitution and legislation, the constitutional court of Georgia is not entitled to consider the constitutionality of constitutional amendments. In conclusion, it should be noted that there are some positive aspects to the draft constitution. These relate to government formation and accountability, human rights and freedoms, and other technical changes, but the most important aspects are the mechanisms for the democratic functioning of power. Without a democratic political system, any improvements will be a fiction. The constitutional reform confirmed the perils of a single party holding supermajority powers. The unilateral adoption of such important amendments is a threat to the long-term democratic development of the country. No matter how good some of them may be, an acknowledgement of the Georgian context is very important. The draft will most likely establish a one-party majority without the necessary checks and balances. This entry was posted in Caucasus, Georgia and tagged constitutional amendment, Georgia on October 3, 2017 by Malkhaz Nakashidze.